As the famed inventor, philosopher, and scientist Sir Isaac Newton once so astutely stated “If I have seen further it is by standing on the shoulders of giants.” I for one can recall no more humble or well cited piece of innovative ideology. History is an interesting conundrum. Problems, pieces and puzzles of past often appear over and over throughout the age. Solutions sought after are recall, ideas elaborated upon and all in all our intellect as a species builds as a sum of our past and present experiences, innovations and of course creativity. Recently upon reading Robert Greene’s brilliant book Mastery on making passion and purpose into a lifelong pursuit of success and happiness I have found myself once more obsessed with the great Leonardo da Vinci. His works, creations and ideas stand out as so vastly far ahead of his time it takes on a truly spectacular scope. Yet amazingness such as this is anything but impossible. Other inspirational inventors and creators have carried humanity forward into the future with world altering innovations and ideas that changed everything about our lives. Just as hikers helped by trail markers and other guides to adventure let us look to these great thinkers for guidance. While we may not have the superhuman IQs of many makers of this world we can learn lessons and become inspired by the amazing inventions, methods and madness many of history’s mighty makers. In the history of mankind I challenge thy to find any with remotely similar skill sets to our Italian Renaissance man. It cannot be done. 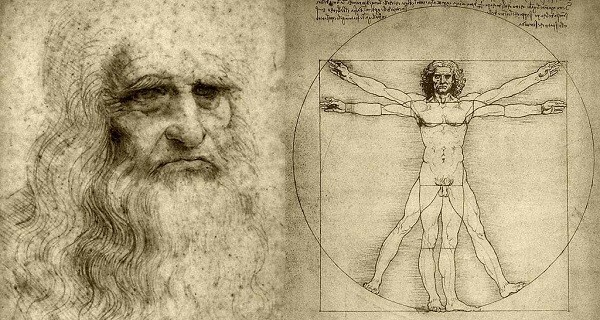 Leonardo was the true jack of all trades in the most powerful sense of the word. His interests and immense talents ranged from art and architecture, music and writing to math, engineering and of course anatomy. Simply put Leonardo is the epitome of mankind. This mastery stems from his insatiable curiosity into the nature of things. As a boy out of wedlock in an age of religious fervor da Vinci grew, matured and learned in methods much unaccustomed to the era. As an apprentice informally studying in his spare time Leonardo rapidly gained renown with his naturally inspired artistic renditions. From wandering forests, dissecting bodies and delving into the nature of all things Leonardo sought to understand. Out of this need to create and understand many of history’s greatest works such as the Mona Lisa, the Last Supper and the Vitruvian Man were all purposefully produced. Art was not all that enraptured Leonardo however. In spite his accomplishments as a painter he also is attributed with many otherworldly inventions well beyond his era. From designs for modern battlefield tanks, his infamous helicopter, robotic carts and the world’s first scuba suit it is impossible to grasp the depths of genius possessed by our Renaissance man. All in all Leonardo da Vinci’s insatiably curiosity into the way of the world is the source of all his amazing success and something inventors of our modern era must understand in order to innovate. As the inspiration for today’s most advanced electric cars it is critical to understand the man behind the mask that is Nikola Tesla. Unfortunately few understand the true brilliance of this Serbian-American inventor and the depths to which his brain built upon and transformed modern life. Born in the mid 19th century Tesla was in all regards a genius of electrical and mechanical machinations. From humble beginnings to a partnership with Thomas Edison, Tesla acted as a man ahead of his time. After quickly leaving the employ of Edison over disputes Tesla tried again and again to change the world with radical ideas resulted in some today’s most important inventions. From AC current motors and generators, his famed Tesla coil, and the earliest attempts to build an internet of information and electricity Nikola pushed the boundaries on what the public would and could believe. Perhaps however our Tesla is most famous from his famed experiments in Colorado Springs(as seen in the amazingly awesome movie the Prestige) however. While working in solidarity and isolation from his rival Edison, Tesla experimented with truly revolutionary ideas such as man-made lightning, wireless electricity, and alien communication. Although fringe science seemed his avenue of attack many of his ideas ultimately proved successful and if not for lack of funding and support would see the light of day. The largest takeaway Tesla offers is to screw the status quo. People may believe you crazy but looking to the future for inspiration is the ultimate form of innovation. Though vilified in the eyes of Tesla it is truly remarkable the things made and accomplished by the famed Thomas Edison. 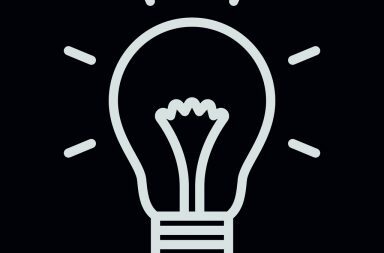 In addition to the oft cited invention of the modern electric light bulb he strayed far further and deserves much greater recognition than recent memory allows. From his early days as a somewhat deaf telegraph operator Edison studied the nature of electricity and sought to turn this powerful force into the fuel for another amazing revolution in mankind. From the innovation factory that represented Edison’s teams and the disciplined fervor in which our creator ran his operation an unthinkable amount of patented products poured out the doors. With stock tickers, music recorders, motion picture cameras, power distribution and the first modern voting system his enterprises are responsible for transforming America and the world. 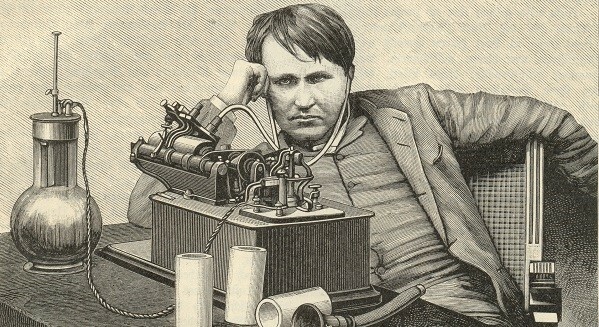 As one of the most prolific inventors and businessmen of this or any era in history much is to be learned from Edison. Chief among the lessons learned when exploring this empire of innovation and electrical creation is in building business basis into all that is made. In all his creations capitalism was the driving force and this monetary mission is important to consider when creating crazily futuristic folly and hoping to help the world. Although invention and innovation seem such modern phenomenon the amazing creations of men and women of intellect are by no means a product of only our era. Throughout history humans have sought to improve and change the world to suit their needs. This is no more obvious than with the great Greek mathematician and scientist Archimedes. Made famous for his famed Death Ray capable of destroying many an advancing wave of ships he is the last of the great Greek heroes. With wide ranging innovations in use to this day Archimedes holds a place in the hearts of inventors everywhere. Though little is known of this man of antiquity he is credited with invention of the Archimedes screw, the principles of buoyancy and as an inspiration to the great Galileo. Dedicated to mathematics to the very end. In a story much like many other overly accomplished individuals our young Franklin lived an extremely inquisitive life. With a natural gift for language and an understanding of complex societal issues even as a child Franklin apprenticed in his brother’s print shop. Here he mastered the arts of written word while learning firsthand the effects machines could facilitate on printing, production and design. Throughout his life these lessons would propel young Benjamin through a solidly successful career path as he purchased a newspaper, proceeded into politics and perused the nature of the universe in his spare time. In a life of adventure best known for his role in the rebellion against the British and discovering the true nature lightning and electricity it can most certainly be said Franklin was also a formidable inventor in his own right. As a man of necessity with an amazingly long lifespan of 84 years Franklin would encounter more than his share of issues and uncertainties which his constantly exploring mind would voraciously tackle. To this man we owe a debt of gratitude in the form of bi-focal lenses as aging eyes need help and scuba fins for which swimming is so superbly simplified. In addition his work brought him to the forefront of thought concerning a great many ideas such as refrigeration and kite surfing of all things. As is evidenced by the life of Ben Franklin it is often a travesty to focus on only one arena of influence. Many polymaths and extremely intrigued individuals must explore as interests flow and find freedom in fixing much. Although this world renowned Scottish scientist holds fame for his incredibly transformative technological creation of the telephone he accomplished so much more as well. Growing up as the child of a deaf mother, Bell was instantly exposed to the life and lessons of disability. Despite his mother’s disadvantage in the world the woman worked to become a beyond accomplished pianist and push self-sufficiency upon her children at a young age. Seeing struggles and successes of his mother pushed Alexander into the arena of hearing aids in efforts to help people punished by nature’s natural selection. As a result of this deep desire to understand and alleviate issues and his work teaching deaf individuals his research culminated in the creation of a lifetime, the telephone. This invention would transform life and make Bell financially free of obligation. In this Bell began more research into other interesting areas and ultimately invented the metal detector, hydrofoil watercraft, and even entered the arena of aeronautics in which he was ultimately unsuccessful. With successes, failures and frequent attempts to change the status quo the take away idea truly encompassing Bell’s life is that of overcoming obstacles. In spite of his wife’s and his mother’s unfortunate deafness Bell failed to see these as inherent weaknesses and instead dedicated himself to solving complex societal problems. 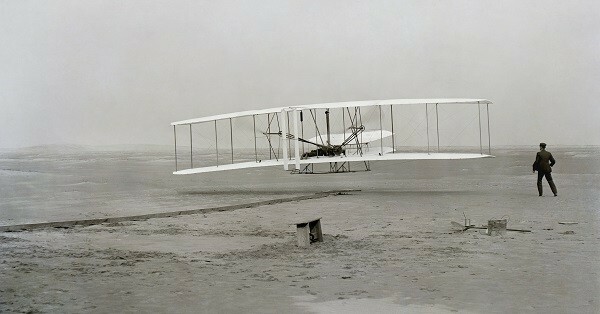 As many may know these simple brothers from the great state of North Carolina are the pioneers of flight. Their efforts ultimately led to the first ever manned, powered flight aircraft and started a revolution in airfare that to this day defines much of humanity. But before entering the public eye and innovating travel for all these two were simple print shop and bicycle enthusiasts. Unlike many many accomplished inventors and engineers throughout the world working to achieve flight the Wright brothers did not have the expertise or support to steal the limelight. Instead they had an even more important resource….passion. Pushed not by fame, fortune or political power the Wright brothers managed to overcome all obstacles and in 1903 achieve the impossible. I love this story as it is the true tale of outside innovation. Unlike most engineers focusing on stability of the aircraft in achieving flight the brothers believe riders and not machines made the world work. As such in the spirit of the lowly bicycle the Wright brothers based their designs and aeronautical research and ultimately won the race. Their story shares the importance of untempered excitement in solving problems. Inspired to succeed and unhampered by traditional troubles the Wright brothers shed convention and made the world much smaller in the process. Though many believe the cream of the crop always rise to the top it is simply incorrect when examining the amazing and unknown life of Walter Hunt. This is a travesty which feels truly terrible to me and as such I must share the story of this prolific innovator of the early 19th century. Although little is known about the life of Hunt as a result of his less than spectacular renown it is known many many amazingly important inventions we all hold dear are untold results of his ever active brain. Hunt’s more earth shattering innovations include the safety pin, sewing machine and fountain pen which would all transform home life as we know it. 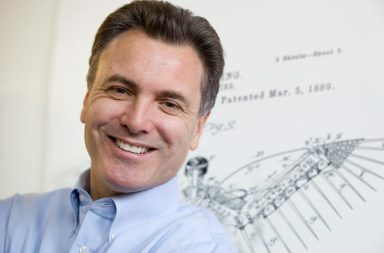 Despite the extreme profitability of these products in the coming eras Hunt would never receive the wealth he deserved due to a mistrust of patents and their power to push hardworking employees out of jobs. As such his inventions were stolen and sold for unearthly profits and our ideator left with nothing. As if these creations weren’t colossal enough Walter Hunt is also acknowledged as the man behind the early repeating rifles, the ice boat and modern street sweepers. How creations such as these escaped the fame and fortune of the time is beyond me but Hunt proves that modest means and humble innovation might not produce powerful profits but certainly have the influence to alter the world. To this day Henry Ford hangs in the pinnacles of greatness and is known by all to be the inventor of the automobile and the man who radicalized rapid transit. Although almost true Ford in fact never invented but rather popularized the already created car. So how does a Michigan boy unwilling to be a farmer become one of the best known businessmen and innovators of all time? The answer of course lies in victory. 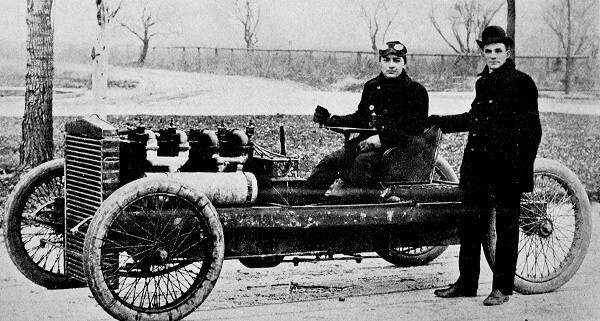 With the victor goes the spoils and for Ford his vision was always to create a compact horseless carriage. And even at that Ford failed many times. It was simply economically infeasible to create mass market automobiles accessible to everyday owners. Henry Ford’s fame lies not in invention in its typical sense but in the power of purpose his mind was able to conceive. Seeing the shortcomings of his previous companies Ford found a fatal flaw in the manufacturing process. Just as capitalism capitalizes on specialization Ford believed these principles of purpose could be applied to humans as well. Rather than an individual solely responsible for an entire car Henry Ford revolutionized the assembly line. Reconfiguring factories to make men perform repetitive tasks transformed production severely reduced assembly times and radically reduced prices on almost all things. In a sense Henry Ford created the second Industrial Revolution with simple ingenuity and dogged determination to see success in his endeavors. Sometimes looking at the problem in a new light is the lever to untold innovation. As one of the great creators and businessmen of an era Westinghouse is one of the modern industrial fathers of America. His work with railroads, electricity and business empires were an extremely influential piece of the puzzle as the United States explosively grew and innovated during the time. Westinghouse originally grew up the son of a machine shop mechanic and quickly learned his way around machines and electricity helping pops run the business. After a brief stint in the Civil War Westinghouse left the army and instead focused his impressive talents on creation. At the age of only 19 he would revolutionize power distribution with the invention of the transformer to allow long distance AC power transmission, enabling the power stations of today and the trains of Westinghouse’s visions. In following with an inherent obsession with trains Westinghouse also created the modern airbrake, rotary steam engine and many subsequent creations which allowed him to build a megalithic business around the railroads and gain great repute. Like many of our list he remained curious and productive through to the end of his life and in his later years would experiment with and create modern shock absorbers for the newly introduced automobile and many other small inventions in line with his awesome interest in transportation. I hope you guys enjoyed this unexpected glimpse into the lives of some of history’s most amazing innovators of all time. These accomplished individuals and so many more challenge my views of the world and force self-reflection so often important in understanding and creating complex new products. But maybe that is just me. Did you guys like looking into this? Have heroes of the past helped push you forward into your own futures? 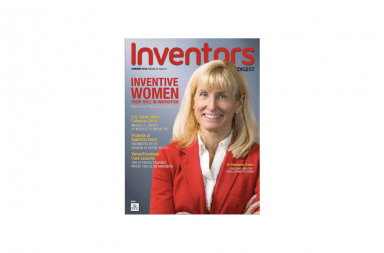 And most important of all who did I forget to put on this prolific list of inventors? Surely some trouble can be stirred up. Lastly guys this article took a ton of time to write, research and make as awesome as possible. If it helped you in your own entrepreneurial journey take the time to share it. Together our efforts impact so many more and creativity is a complex process from which we all win.